Barcelona/Gaziantep – An upsurge in fighting and bombing over the past week in northern Syria’s Azaz district, near the Turkish border, is jeopardising medical activities in the few hospitals and health posts that are still functioning, says international medical organisation Médecins Sans Frontières (MSF), warning that it may be forced to close its own hospital in the Aleppo province. The increased violence has also paralysed the delivery of humanitarian aid – which was already limited – to more than half a million people in the area. "In recent days, with fighting in the east and west of Azaz district, and with the bombing getting closer and closer to our hospital, the risk to our patients and health staff is reaching unsustainable levels," says Carlos Francisco, coordinator of MSF projects in northern Syria. “The flow of patients continues to grow as other health posts have closed in the last months due to clashes. Last weekend we had to reduce activities in our hospital” he explains. “The next step could be to close the hospital, which is assisting some 50,000 people." MSF’s hospital in Azaz district is one of the main medical facilities still functioning in the rural area between Aleppo and the Turkish border, providing emergency surgery, inpatient and outpatient care and safe deliveries. In October, MSF documented 12 hospitals bombed in the north of Syria, including six supported by MSF. And most recently two hospitals supported by MSF - in Zafarana, Homs province, and in Erbin, rural Damascus - were hit in aerial bombing raids over the past two weeks. "With such a frequent rate of hospitals being bombed, we are extremely concerned about the safety of our patients and medical staff,” says Francisco. The main road from Kilis in Turkey to Aleppo, a key supply route into eastern Aleppo, is close to being completely cut off from humanitarian aid. "In the past few days, several convoys have been bombed, and last Thursday a truck on the way to pick up winter kits to families in Aleppo was fired on," says Francisco. Over the weekend, MSF had to halt the transportation of kits to some 40,000 people in eastern Aleppo. "This route brings most of the the food, fuel and humanitarian aid for some 600,000 people living in Azaz district and the east of Aleppo city,” says Francisco. MSF once again calls on all parties to the Syrian conflict to make every effort to protect civilians and civilian infrastructure, including hospitals and ambulances. It calls for an end to attacks on medical facilities, which have increased in recent months, causing hundreds of deaths amongst civilians, including women, children and medical staff. 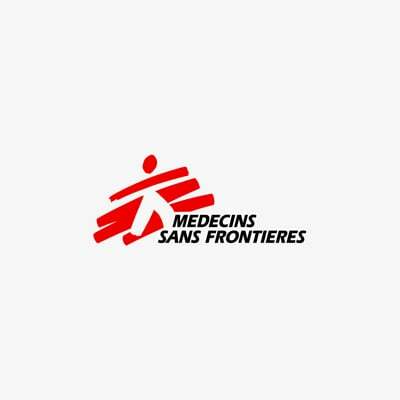 MSF calls for all possible measures to be taken to guarantee the delivery of basic supplies to people in the area, including food and water, as well as providing them with protection and medical care. Between June and October 2015, staff at MSF’s hospital in northern Syria’s Azaz district provided 23,000 consultations, received more than 11,000 people for emergency treatment, and performed some 1,000 surgical operations. MSF also supports 35 hospitals and health posts in Azaz district and in the east of Aleppo city. MSF runs six medical facilities across northern Syria, and directly supports more than 150 health posts and hospitals across the country, many of them in besieged areas. Most are temporary structures run by Syrian doctors, without MSF staff, but provided with practical support and distance learning by MSF to help them deal with the extremely high level of medical needs.